These are some great ideas! 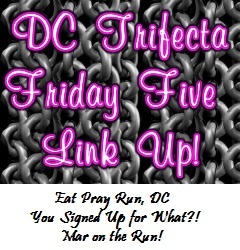 I love the idea of making your own gifs for other runners- so creative and personal! I love personal gifts and I figured others would too! Well you got the display, that's the first step. A lot of people still have their medals in a shoe box! I have a medal display on my list. I am saving up shirts to have a blanket made. Maybe next year I'll have enough. I'd love to see your blanket when you have it made! I love the race bib coffee mug! That is definitely something I would love to get. I love the blankets with race shirts - I need to try & check out the links that show you how to do it yourself. My friend actually had that blanket made through a company called Project Repat. I like the snack box idea. I haven't signed up for those kinds of boxes because I don't know what I'd get with each one. I'm pretty picky. That is the same reason why I decided to make my own for her! I did actually want to make my husband some snack mix or roasted, candied type nuts before Hannukah is over, but the last few days have been rather hectic so I'm not sure it'll happen. I feel like that every year. I want to do more stuff but always run out of time! Great ideas! I love the medal displays you did for your sister and mom. I never even thought about the coffee mug with the bib but that really does sound like a great idea for a special race. Yea, I'm thinking I should do one for myself! 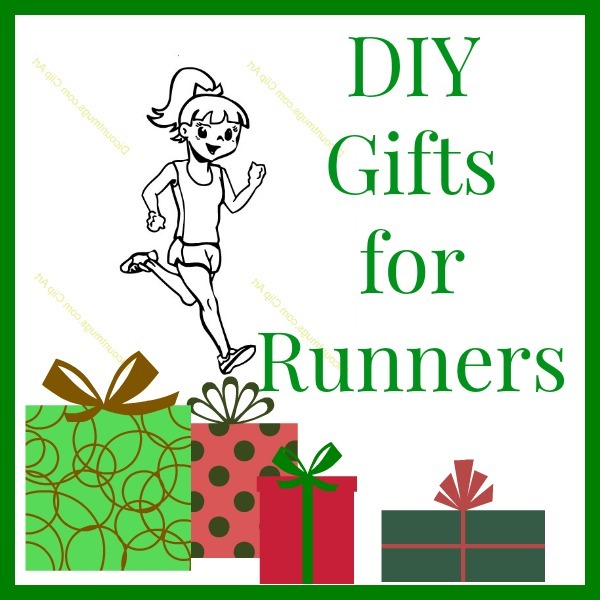 The Runner Gift Box is such a great idea! That mug is all kinds of awesome! These are all such great ideas! I have one this year that I plan to make for myself and some of my running friends--hand warmers! All I need is rice and fabric, and then it's just a matter of stitching them together. I hope it's that easy, at least! Oh that's a great idea! Do you put it in the microwave to warm it up? I love these gift ideas!!! These are fantastic DIY ideas. I think DIY items are so much more personal than something you'd get at a store! 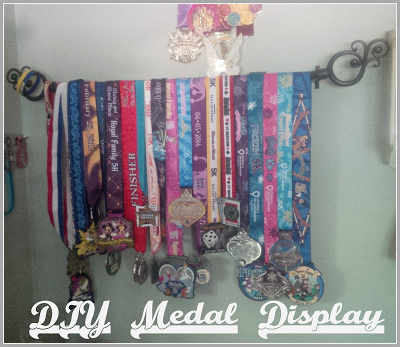 The medal display is my favorite one since the ready-made ones on the market are usually SO expensive! Such creative ideas! Love the snack box and the medal display. These are really great gift ideas for runners! I love my project repat blanket so many memories wrapped up into one! 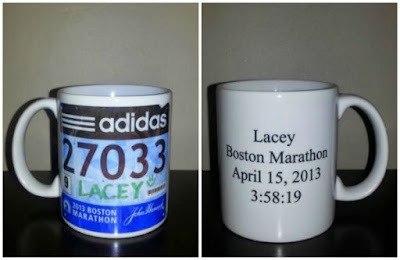 Oh I am adding that Boston Marathon mug to my list. I need to know where to buy those so I can send the link to my family! 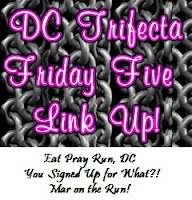 Link is right below the pic! LOVE that marathon mug! What a fantastic idea!! Isn't that great! I'd love to get some Disney ones made! The medal display is a great idea, as is the runner box. Thanks for sharing! I love that marathon mug!! I may have to order it for myself (gulp!). That mug is pretty epic. Great idea! What fun ideas! I really love the snack box, such a great way to give something personalized, obviously they'll love it! I liked the snack box too! That actually lasted her several months! I so totally agree with you - homemade gifts are just so meaningful and cool. These you have made are all so wonderful! I am not one ounce creative but I really love what you've done here. I did order a coffee mug once with pictures of my husband scuba diving and he loved it...maybe I'll do the Boston Marathon mug for him now. Thanks for the great ideas. I love that you do all this stuff for and with your sister and mom! Aww, thank you Diane. I find that we all have so much "stuff" that it is nice to give some personal or meaningful things when we can! Love your take on this week. The DIY ideas are really cool. I definitely plan to eventually do the race shirt blanket. Not quite to that level of shirts yet though. Bookmarked for later though. I think I have enough for a blanket but I can't take the plunge to cut them up yet! I love the idea of a running snack bag and the blanket. I may need a few more shirts to compile one since I just donated a bunch. Very creative gift ideas! There's never enough time to do everything that you want to! The mugs are a great idea. My husband gave me one with my photo on it and my other one was a race award. 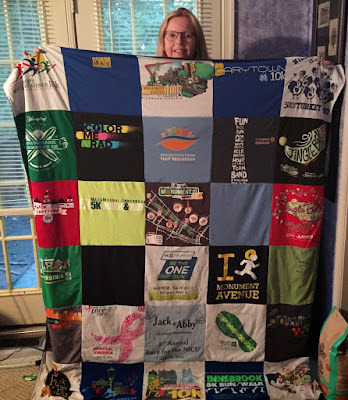 I really want a Christmas Quilt made of my running tees! I love this post! 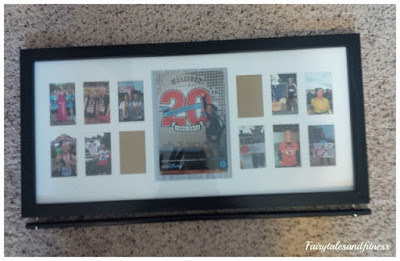 So creative, I really wouldn't have thought to make special sport specific gifts! I definitely need to add some of these to my to do list! the physical therapist I worked for had a really cute project like one of these. It was a giant frame and in the center was a picture of him with his family at a race, underneath it said something like "Worlds Best Support Crew" and the rest of the frame was filled with a collage of race bibs, it was pretty cool! Such great ideas here!!!! Love em all! You have some super cute ideas here! 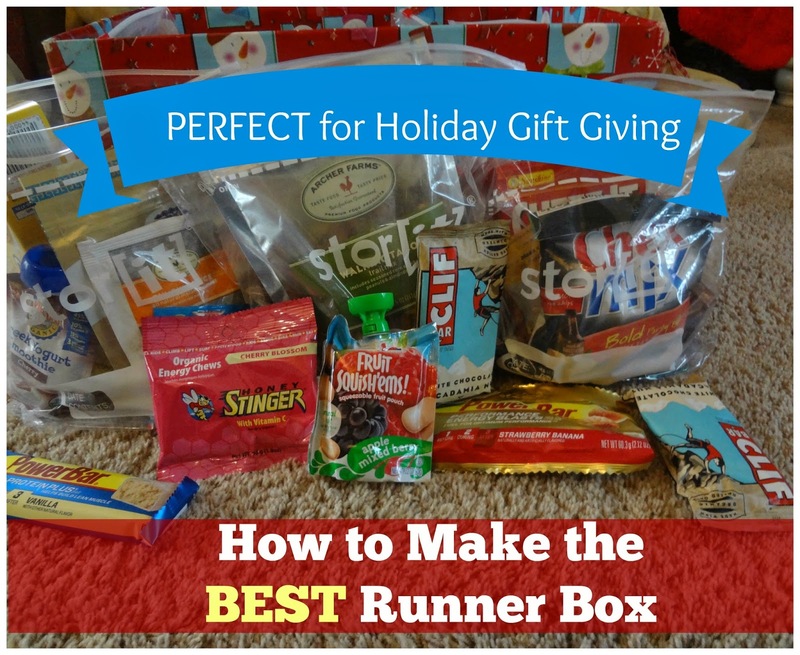 I love the runner's snack box and the mugs! These are wonderful gift ideas! I'm trying to get more into DIY projects, and I love how creative your ideas are! I love all these DIY ideas. I feel like DIY sometimes captures the spirit of Christmas a little better. these are such good ideas! love the blanket/quilt and runner's snack box! Super neat ideas! Thanks for sharing... looking specifically at the snack bags... my fiancé would love those! I love my project repat blanket- it is the best! 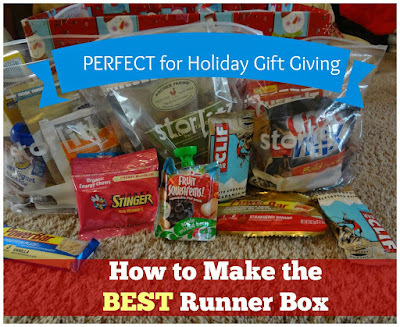 My hubby filled my stocking last year with runner goodies, similar to your box and I loved it! Great ideas!